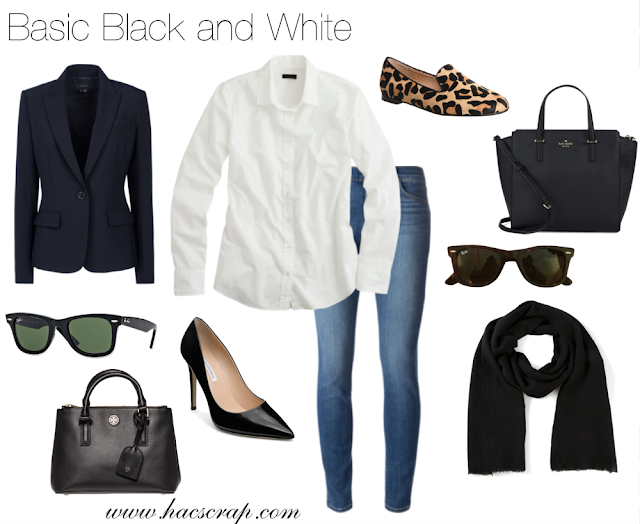 Some days getting dressed can be as easy as black and white. Building a casual wardrobe off of basic pieces in black and white, can be functional and stylish without looking like your favorite waiter. Two classic pieces that should be in everyone's closet are a great pair of jeans and a great white shirt. We've talked about how shopping for a white shirt can take time and patience, because fit is so important. I recently found a great one at Ann Taylor. It's the right weight of fabric plus it has a little stretch to it, so no gaping in the front. The thing with a basic white shirt and a great pair of jeans, is that you can build a week's worth of outfits around them. 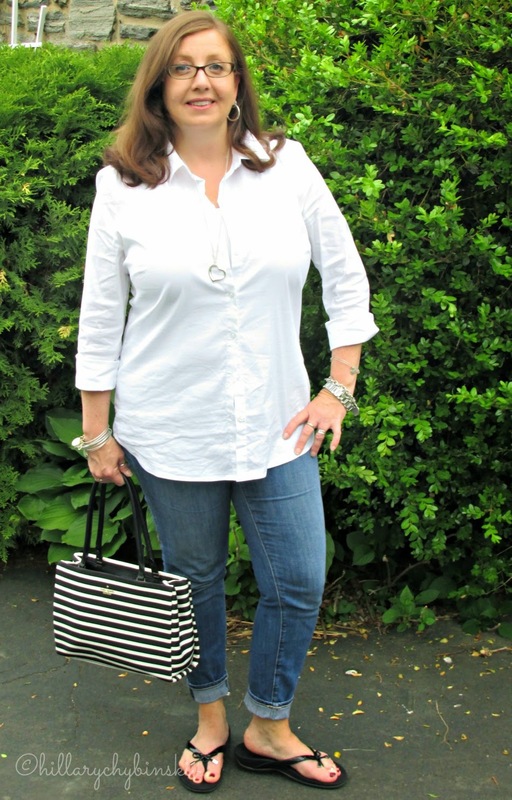 Last weekend, I wore a very simple, casual jeans and white shirt outfit. It reminded me of how big a part these tow colors play in my wardrobe, and how I should leverage them more. During the car ride to NJ, I began to think about pieces I already own, that I could wear with the outfit I had on. For instance, I could swap out my black flip flops for heels, or booties, or leopard flats. I could add a denim jacket in a bright color, a black blazer or a cardigan. Endless choices. 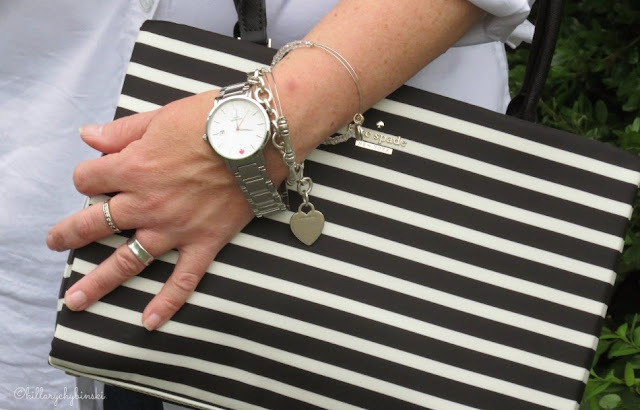 Keep the classic style going with a structured bag and timeless pieces like a watch. What about you, are you a black and white fan? How do you build off of basic pieces in your own closet? This post is linked up at The Pleated Poppy and at Get Your Pretty On. Check them out for even more style and fashion ideas and inspiration. You can't beat a great white shirt!